Today’s just a quick update to tell you that we’ve reached the 15,000 word mark! Hurray! Also, the illustrations for Steel Praetorian are nearing completion, and I expect the formatting and cover art to be done shortly as well. I’m thinking the release date will be around the 1st of December, giving me a break between the Thanksgiving holidays (When no one is paying attention) and the Christmas holidays (when no one is paying attention). If there’s one thing I’ve learned, it’s not to try and compete with huge multinationals that can throw bazillions on advertising! Another blogger is on the lookout for good steampunk websites, blogs, writers, etc, as she is looking to compile a big list about them! Hop on over and check out her site For Whom the Gear Turns – I also recently backed her kickstarter to send her to several steampunk conventions (since I don’t have the time to go and it’s always fun to get another writer’s point of view on a convention before I commit the time or money to go to one! Here’s a preview below. Enjoy! All the Amazing Steampunk Novels Below are Only $0.99 Today, and Today Only! I Mean seriously, really, truly, 99 cents on sale! Are you looking for your next read? Why not try a steampunk adventure, thriller, mystery or romance? We have them all here and all on sale today only. Buy one or buy them all for months worth of reading material! Throughout the day you can drop by and chat with the authors about everything from your most pressing steampunk questions to author influences and tips on writing. We’re also having a day long author chat, featuring authors from a wide variety of steampunk genres. There’s something for everyone. Click here to join and chat away! 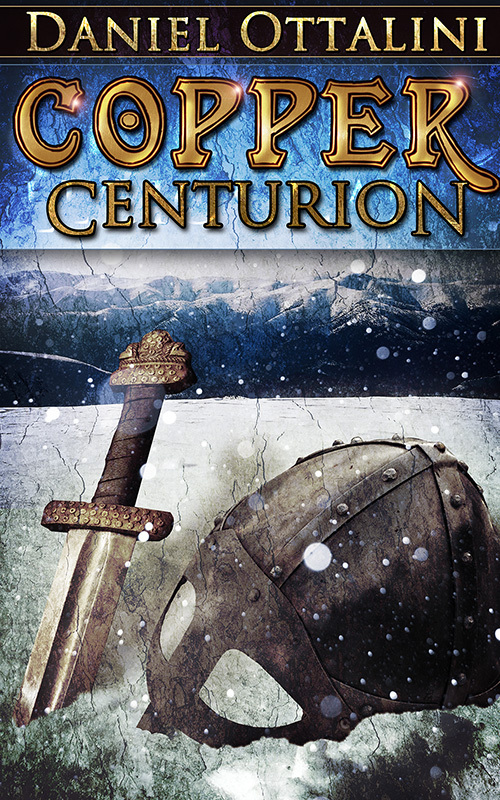 Copper Centurion is only on sale on Amazon for Kindle and on Nook from Barnes and Noble (It takes too long to percolate through Smashwords to change up the iStores’ cost for a one day sale). 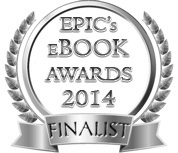 Grab my EPIC eBook 2014 Finalist Novel today! PLUS EVERYONE WHO COMMENTS ON THIS POST, OR ON FACEBOOK, IS ENTERED INTO A DRAWING FOR ONE OF TWO LIMITED EDITION POSTERS FROM MY SERIES. So, what are you waiting for!? Get up and get going, this sale won’t last forever! Steam Lit Giveaway! Going on NOW! Do you like steampunk novels of all types? Yes? Well then why haven’t you entered the SteamLit Giveaway?! Win 16 books valued at over $50 in total value! Three winners will get all the loot, the prizes, the… err… ebooks! Woo! Wait, did you go there? Did you sign up? You should! 🙂 Because…. …in the next few days there will be a spat of blog posts about awesome events connected to our second Steam Lit Extravaganza! I’m super pumped and this is getting me back into the writing mood! Yippee! I recently did a radio interview with Kevin from Global Talk Radio after they had a promo for five minute radio interviews. What can I say, these guys were super nice and considerate. Because I live on the East Coast, it was sort of a challenge to match my schedule with theirs (west coast), but they made it happen. I’ve posted the questions and my answers below, and hope to be posting the actual radio episode later this week! How did you get started being a writer? I actually started as a writer in college, when I decided to write a story that used all of my friends as characters. I got about 7 or 8 chapters in, but then lost interest. For me, one of the hardest things about writing is being self-disciplined enough to actually finish the novel. When I wrote Brass Legionnaire, it helped that I actually wrote down the entire story in a journal I had lying around, rather than sit at the computer and start from scratch. The words seemed to flow more easily for me. I’m impatient and like to be in control! Actually, I had been doing a lot of reading about self-publishing and it seemed to me like it was something that was more practical and doable then trying to get an agent and get my book published by a company. Brass Legionnaire is a good book, and I’ve found great people to back me up on it through my own research. That’s another important part. Instead of having my team picked for me, I could pick my team for the editing, cover art, illustrations, etc. I liked that level of control. It was actually an inside joke that took off. I’ve always loved Roman history, and studied aboard in Rome and Naples during college. I’m also a big fan of alternative history, and noticed that very few authors had examined how the world would have changed if the Roman Empire was still around, even though it very likely could have. Plus, I enjoyed novels with steampunk elements that are more realistic, so I used my own knowledge to try and create steampunk creations that would actually make sense in a Roman world. This isn’t Victorian steampunk, no canes and zombies or giant guns, but instead a focus more on animal-like machines and gunpowder loaded weaponry that could realistically evolve from the Romans of old. You’ll see the world really expand in Copper Centurion, my next novel. What advice would you tell new authors? Plan, save up, and write a lot! Plan out your novel, then your post-novel plan – who will edit, make cover art, format, and how will you publish. Will you go with Amazon KDP or for a more broad spectrum release with Barnes and Noble, Smashwords, iTunes, etc. Save up your money, because you can do it cheap, but in this case cheap is not always good. You want your editor to really help clean up your story, not just do a one time sweep for loose punctuation. How do you keep in touch with fans? I have a twitter – @Dottalini, a blog – danielottalini.com, and a Facebook page. I also created a book page – brasslegionnaire.com for my novels, since I sort of wanted to keep that series separate from my author blog when I start writing other novels that aren’t part of this series. What was your biggest mistake and your greatest achievement (so far)? So far, I would say my biggest mistake was not writing more. I wish I had been smarter and had at least two stories ready to go, instead of just the one. It would have been fast and simply to make a 10-15,000 word novella and pop that out really cheap next to my other novel, that way I could hook more readers with a low-priced introductory story. My greatest achievement is that my novel – Brass Legionnaire – has been nominated for an EPIC – Electronic Publishing Industry Coalition – eBook award – it’s a finalist (top three) for the action adventure category. That is insanely cool considering that Brass Legionnaire is my first novel. Round Up: Copper Centurion is coming out this spring, and a short story – Roma Aeronautica, is also coming soon. I’ll be starting work on novel number three, Iron Tribune, next! My books are on sale on Amazon, Barnes and Noble, iTunes, and Smashwords. (P.S – in case you were wondering, this is not a paid advertisement or whatnot – did you really think I would do that? I paid for the interview and simply enjoyed the experience. Ciao!